I hear from so many travelers to Myanmar who want to make sure that their money goes to the people, and not to the government or croonies. In the past few years, there has been a big boom in creative social enterprises in Myanmar, and I wanted to shine a light on them. My friends Dan and Audrey have a comprehensive post on using social enterprise to improve your travel if you would like to dive deeper. I'll be focusing on social enterprises in Myanmar that target tourists and expats. You know, the sort of ones that you would be most likely to check out. The most common entry point for visitors to the country, visiting these spots in Yangon can be a good place to start your trip (and see what's available) and stop by before you depart to fill up your checked bag with goodies before you fly home, or find a nice place to grab a bite to eat. This is also where the largest concentration of them exists. Hla Day works with Myanmar artisans, disadvantaged groups and small businesses to design, develop and sell quality handmade products with a contemporary twist. Each step of the way, the team at Hla Day works with local groups helping them come up with ideas for products, assisting with training and design, and paying a reasonable wage. The goal is to help support the livelihoods of their producers, many of whom are struggling to overcome disability, exclusion and poverty. Hla Day aims to capture the unique flavors of Myanmar design by locally sourcing all materials and celebrating traditional skills enabling both customers and producers to enjoy and benefit from unique and quality Myanmar handicrafts. As well as carrying smaller, less expensive items that are easy to throw in your bag before you leave the country such as jailed journalist Wa Lone’s children’s book Jay the Journalist from Third Story Children’s Books, they also carry a selection of high-end jewelry from Turquoise Mountain and chin textiles. Payment in Myanmar Kyat, USD and credit card accepted. One of the earliest in the game, Pomelo is much like Hla Day (in fact, they were once one-in-the-same...) and carrying many of the same products. Another fair trade shop offering contemporary hand-made products with a Myanmar style. They provide opportunities for artisan partners so they can improve their lives, working with dozens of disadvantaged groups, developing their business and administration skills as well as providing design insight. I particularly appreciate the recent signage that they have put up, which talks about each of the organizations that they work with. Brilliant touch! One of my favorite producers in Myanmar, Pann Nann Ein supports individuals with disabilities, while simultaneously raising awareness of neglected disability issues, including physical disabilities, mental health problems, learning disabilities, and language and speech impediments. Handmade cards, postcards and journals from Pann Nann Ein. Products include really cool dropcut cards made with traditional longyi fabric, unique postcards, and other fabric-based products like bags, journals, bookmarks, and picture frames. Until recently, Pann Nann Ein just sold their products through stores like Hla Day, Pomelo and the like, but as of June 2017, has just opened up their own showroom in downtown Yangon. Helping Hands pairs up skilled artisans to work along side former street kids to teach them the art of restoring old teak furniture that Myanmar is famous for. While likely not the best option for a traveler heading home looking to fill a small hole in their luggage, if you're an expat in Yangon, they could have just the thing to jazz up your little home. Another cool and unique community-based, environmental artisan workshop. 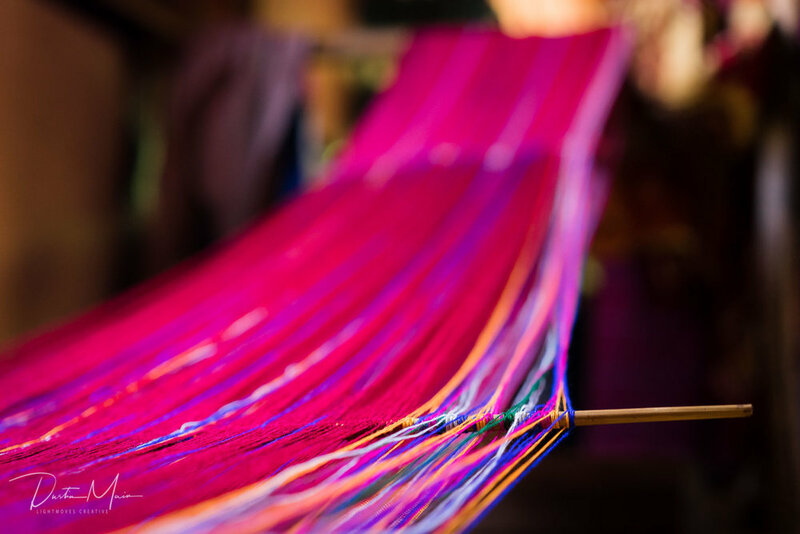 Situated across the river from Yangon in Dala, local family groups are given responsibility for the production of certain items, and then come together to finish off the end products. Profits are distributed back into the artisans’ pockets. This organization is best known for it’s bright “upcycled” bags, but they work with used umbrellas, plastic bags and even cement bags for their products. My favorites are the belts and cases made of rubber from used tubes and tires. If you can’t make it out to Dala yourself, you can find a selection of their products at Hla Day and Pomelo in downtown Yangon. Check out this article from Frontier Myanmar for more info and their catalog. Founded in 2002 by Mai Ni Ni Aung, Sone-Tu came out of a want, and a need to preserve traditional techniques and styles that were quickly being lost. Locals who were struggling to pay their bills could no longer afford to make, let alone buy these traditional pieces. This time consuming process can take 3 weeks for an experienced weaver to create one 80”x20” single-patterned shawl. Scarves from FXB Myanmar at their sales office in Yangon. FXB has a showroom featuring products made by artisans who have graduated from the FXB training diploma program. Products include scarves, pillows, clothing, toys, and even small furniture. FXB's programs help educate hundreds of young students every year coming from at-risk backgrounds, with a focus on HIV/AIDS prevention and support. Their training programs aim to give better job opportunities in the tourism industry as the country continues to open up. They even run community theatre programs targeting topics such as women's and children's rights. Hidden on the first floor of a side street in downtown Yangon, LinkAge offers cooking and service vocational training for Yangon street children. For you, it also offers a tasty Myanmar / Chinese fusion menu. The goal of the operation is to train street kids, and help get them back to school. It can be a little tricky to spot (especially at night) , but look for the sign on the west side of the street. You'll head up a set of stairs to get to the little restaurant and gallery. Quick tip, call ahead and make a reservation for the tiny table for two on the balcony overlooking the street below. Generally speaking, it's probably a good idea to call ahead in the evenings since the place only has a few tables. Focusing on empowering women, Yangon Bakehouse delivers delicious salads, sandwiches, and baked goods at their two cafes in Yangon. It's particularly good if you're looking for baked good with a more euro-style (ie: less sugar). Their training is a 10 month program, which includes 3 months of classroom theory and 7 months of on-the-job training. It's not all about baking however, with classes on health & hygiene, reproductive health, family planning, savings strategies and more. Their graduation rate is over 80% and show a 500% increase in earning power when they finish. For more European fare, this French restaurant on lovely Inya Lake has a service and culinary training program for young Myanmar Nationals. Each year, they sponsor 20 local students with free tuition to learn under the tutelage of their experienced teachers. They are also a non-profit, with all proceeds being funneled back into the school. Their set menu rotates every three weeks, so it’s always fresh. Check the Shwe Sa Bwe Facebook page for their current offering. Heritage restoration and “placemaking” organization Doh Eain really became noticed a few years ago after spearheading an alley restoration project. Downtown Yangon’s alleyways used to be filled with garbage and essentially unpassable, but in the past few years, the city has made an effort to keep them clean. Doh Eain took that to the next level by helping remake these spaces for the community and children. They have now crowdfunded for and completed 6 alleyway projects. This not-for-profit social business provides cooking classes not only for tourists, but locals as well. If you’re coming for a visit, you’ll probably be more interested in their Myanmar cooking class option featuring staples such a mohinga and Shan kauk sway (shan noodles). Classes are provided in English, and Vegetarian / Vegan options are available. One of the hotspots for travelers to Myanmar, Bagan also has some great ways for you to make sure your tourism dollars leave a lasting impact beyond the hotels and restaurants you'll frequent during your stay. See my Bagan Travel Guide for more planning info. This showroom and shop carries a variety of interesting and unique gifts from the region, including textiles, rattan, and jewelry. To top it off, 100% of the profit is allocated to the group that produced the item as the overhead for the business operations of the organization and store are covered by foreign aid organizations. Supported by Action Aid (a prominent anti-poverty organization), their network in Myanmar is based around supporting women in the "Dry Zone" where food scarcity is a real issue. Their Craft Producer Network focuses on education and training, even providing day care and a monthly stipend when they are in school. After they are finished, they are encouraged to create and join Women Producers Support Groups where they are taught basic business skills such as bookkeeping. It's a really great program that reaches deep into villages to assist women. The same Pomelo from Yangon has a new satellite location in Nyaung U (Bagan). Smaller than the main store, they still have plenty of interesting postcards, cutting boards, bags, baskets and more from many other good social enterprises in the country. This training restaurant helps give opportunity to disadvantaged youth from the region with on-the-job training, English classes, and other support for a year, as well as help to find a job in the industry afterward. In the short time that it has been around, there have already been several success stories of graduates being picked up for excellent jobs in hospitality. As a restaurant, Sanon offers a fairly ambitious menu that mostly delivers in spades. If you're sick of Myanmar beef curry, you could always go for the Tilapia Filet on Sautéed Leek & Apples with Preserved Lime, Caper and Anchovy Butter. Seriously. But it's busy, so book ahead, and be sure to get a little tour of the kitchen before you leave. Improving local livelihoods through inclusive tourism is the mantra behind the UKAID award-winning Three Treasures Bagan. Ian, Thandar and their team look to change the local/foreigner dynamic by creating an environment where guests engage with and learn from local people and communities, including local organic farmers. An off-shot of a Swiss-based NGO Myanmar SEEDS, Three Treasures offers hands-on bamboo crafting classes, photo tours, meditation courses and even day-long romantic tour options. Recommended. Started by a local trekking guide and a graduate from Sprouting Seeds, Clover Social Enterprise Gift Shop sells handicrafts from several producers and social enterprise producers (like Pann Nann Ein) in a small shop just south of the main highway. Of particular note are interesting hand-painted bowls, cotton scarves with natural dyes, and rubber wallets that you might not come across in other shops. This little shop on the outside of the Kalaw Market offers a few goods made in the local villages, including a small selection of clothes, hand-made paper products, and beadwork. You can probably see everything in the shop in a couple of minutes, but it's worth a visit regardless. The RDS (Rural Development Society) was founded in 1992 by U Tommy Aung, and is best known for its water and development projects in the region. In addition, they help with micro-financing. Sales from the shop go directly to fund these projects. This lovely cafe about 8min walk from the town center is a great way to avoid the noise of the main street in a comfy little spot up the hill. With locally-sourced produce for the meals, real french pastries made on site, and their own home-made ice cream... there is something for everyone. The interior is nice and comfy, encouraging people to set together at their comfy tables. Outside are a few picnic tables with umbrellas for shade for enjoying those lovely, fresh Kalaw days. The parent organization, Whispering Seed, has been involved in projects in Myanmar for many years. In the pipeline, Sprouting Seeds plans to offer cooking classes, an on-site yoga studio, and more. They focus their support on orphans and other disadvantaged youth, offering a safe home, job skills training, and help starting their own businesses. The town most famous for its caves also has a new social enterprise in town. This non-profit has been teaching local villagers in Southern Shan State the value of bees and beekeeping as bee colonies collapse in the west. This includes education, training, and support. So far, they have helped create 19 small cooperatives of new beekeepers. For travelers coming through, you can purchase Plan Bee honey from their small shop, as well as other beeswax products (and halva!). You can even arrange a one-of-a-kind beekeeping learning tours and community based workshops where you will learn to make beeswax candles or balms. Best to contact them in advance to arrange. If you can't make it to Pindaya, you should be able to find some Plan Bee honey in some supermarkets in Myanmar as well. The gateway to Inle Lake has a social enterprise scene that is about to launch. This is great news for travelers who flock to the lake for a few days and want to take a special something home with them. This little studio / shop is at the edge of town, on the road heading toward Maing Thauk. You should be able to see the bight red and yellow sign from the road. Inside, you may find the young women weaving, and a small little shop of scarves and other weaved goods. Prices for mostly cotton works are inexpensive and colors more muted (natural dyes) than what you would find a lotus weaver on the lake. About 45-60min by boat south of Nyaungshwe is the floating village of Pauck Par. Here, a group of ladies from the village will give you a tour around by canoe, zipping up and down the lanes by the school, local store and seeing all of the more than 200 homes reflecting in the water. Canoe is the best way to experience life on the lake in my opinion, and shouldn’t be missed. The canoes are hand-carved teak and particularly lovely. Thanks to some handles and a bit of a seat, a little easier to get in and out of than the typical. Lifejackets, hats and umbrellas are provided. Bring a postcard with postage already attached and drop it at the floating mailbox in the village. Lovely Hpa-An in Kayin State is a great place to explore for a couple of days with a large number of limestone caves and karst formations in the area. And now with some social enterprises popping up too. This brand new place in Hpa-An is the first social business project of the Tounge La' Yat Education Gathering Group (EGG) which is a Karen State based organization. The cafe was created by alumni of their education programs. On the menu at the little cafe by the lake is Genius Coffee from Shan State, a host of teas, juices and a long list of Myanmar salads. It's a bit of a wander from the town center (~25min), but there are worst places to wander than little Hpa-An. Lashio is off the beaten path for most travelers to Myanmar, but this capital in Northern Shan State has plenty of room for growth with beautiful countryside and renowned markets with a heavy Chinese flavor. If you're looking for motorcycle journeys on back roads, waterfall jumping at local swimming holes, and hiking and homestays in places that don't see much foreign traffic, Byron and his team at Myanmar Adventure Outfitters in Lashio may be right for you. Byron and his family have years of experience in the region, as well as plenty of NGO experience. They created MAO to help introduce more tourism in the region around Lashio and towards China, as well as teach the locals about all they have to offer. By training local guides, and making the local ethnic tribes a part of the process, he hopes that will lead to more development in the region. Thanks to all of the good folks who put me in touch with new organizations. Special shoutout to Adriana who has the pulse on local projects that empower the community. You can read more about how she makes a difference shopping locally with her life in Yangon here. Did I miss any that you know of? Let me know in the comments below, or send me an e-mail so I can check them out and add them to the list.